Make sure the cylinders are closing all the way. About everyday while in use I take a can of penetrating oil and go all over the baler including the tailgate latching parts to keep them working smooth. Some of those parts especially if stored out in the big barn much could stick or get stiff. I have one and if this doesn't help will check it to see what else might have went a fowl, maybe something bent. Last edited by jltrent on Mon Jul 30, 2018 2:06 pm, edited 2 times in total. They are freed up it latches until I put the lever in the neutral position then it lets the latches move back down and come unlatched.like I said it just up and started this business, I’m wondering if it’s a hydraulic problem or is there a valve on the baler that has gone bad. 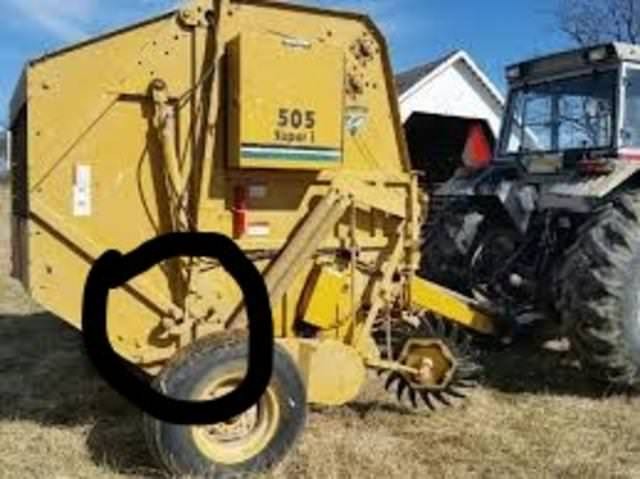 rollinhills wrote: They are freed up it latches until I put the lever in the neutral position then it lets the latches move back down and come unlatched.like I said it just up and started this business, I’m wondering if it’s a hydraulic problem or is there a valve on the baler that has gone bad. That sounds like a hydraulic issue. Do you have another tractor to test with to eliminate the tractor hydraulics. If the tractor is good you may need cylinders rebuilt as oil/pressure leaking by inside cylinder and letting gate unlatch as all it takes is about and inch on the cylinders. It is a straight shot from the tractor to those cylinders as with a tractor with faster hydraulics the faster the door works. An oil leak in the line would do this, but you would see that. Last edited by jltrent on Mon Jul 30, 2018 4:22 pm, edited 1 time in total. I do have another tractor to try and will, I was almost sure it was a straight shot from the tractor to the cylinders but was checking to see if they had a equalizer hidden some where I couldn’t find. It seems it almost has to be one or both cylinders, I know I have to get it fixed real soon I’ve got about 70ac of hay that’s needing it as soon as this rain passes through. I would suspect packing in one of the cylinders. They will be plumbed in parallel (the hydraulic lines will be tee'd together) so if one is bad both cylinders will back off.